4 strand 275 pound test paracord in rainbow colors! Outstanding for survival bracelets, backpacking, hiking, 72 hour kits and emergency car kits. 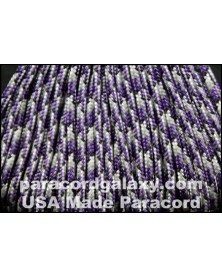 4 strand 275 pound test paracord! Outstanding for survival bracelets, backpacking, hiking, 72 hour kits and emergency car kits.